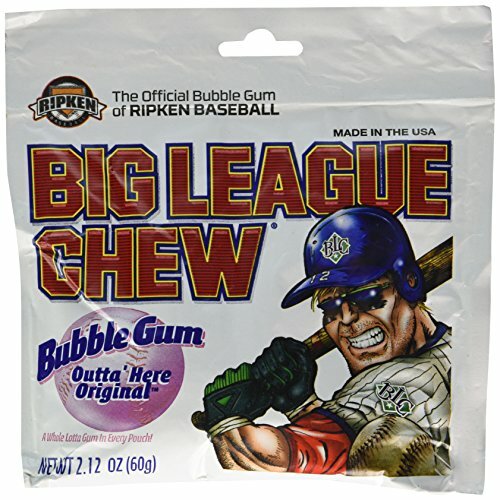 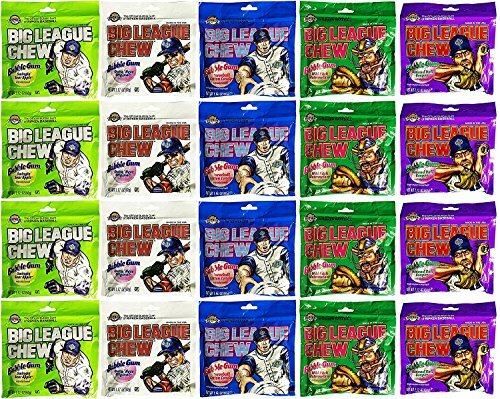 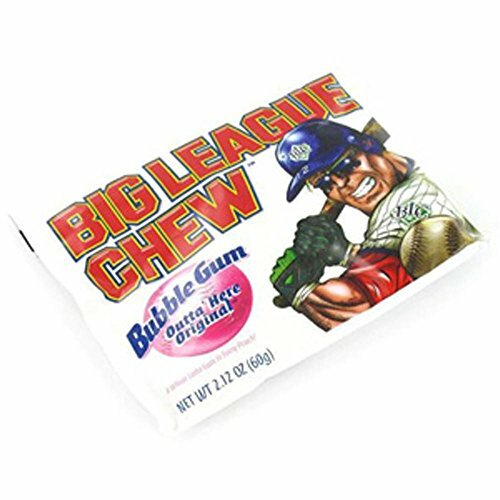 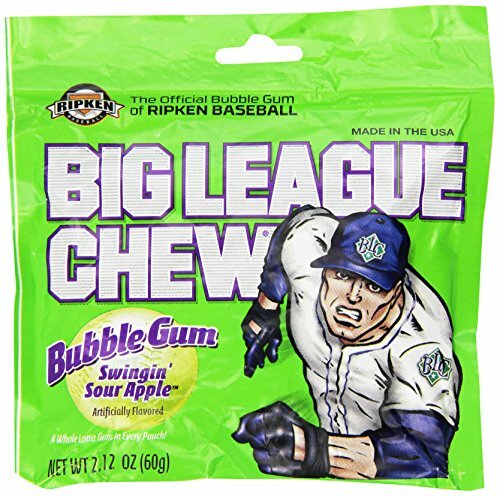 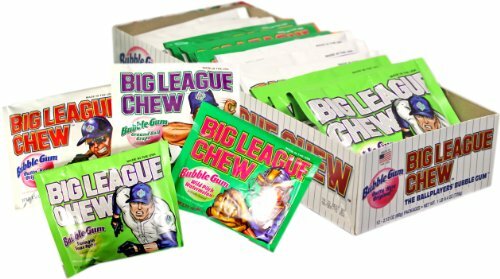 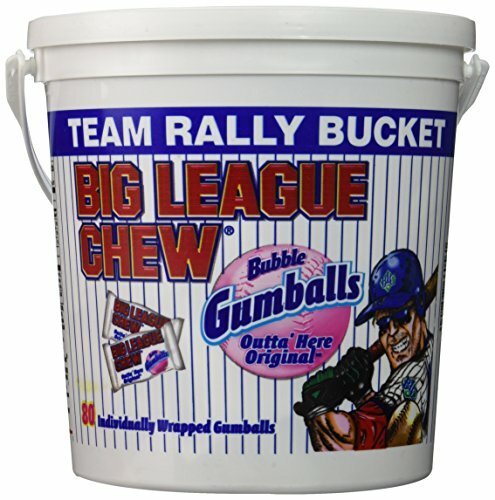 Big League Chew Variety, Pack of 20 (5 Flavors, 4 - 2.12 ounce bags of each flavor). 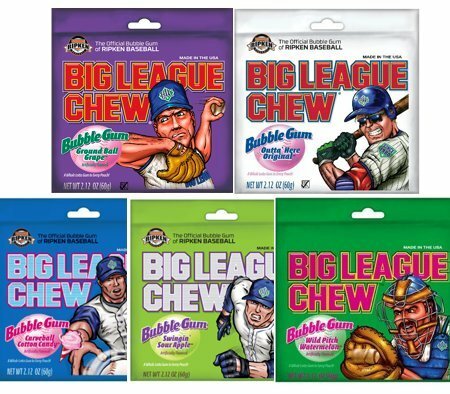 Featured Flavors: Swingin' Sour Apple, Ground Ball Grape, Wild Pitch Watermelon, Outta' Here Original, Curveball Cotton Candy. 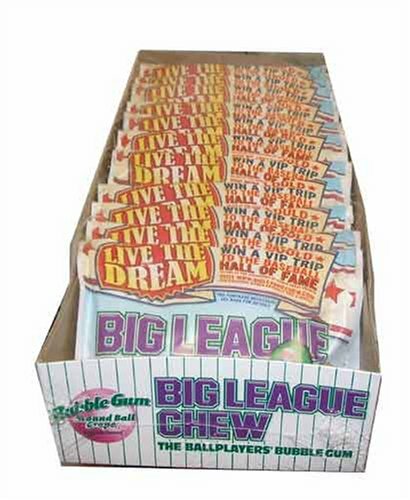 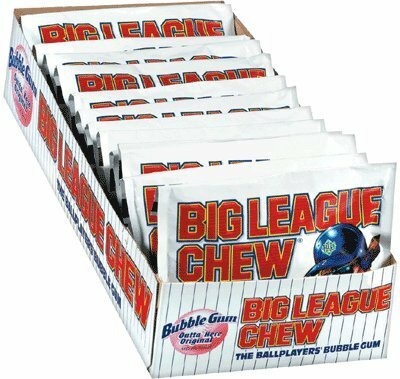 Big League Chewing Gum - 4 Flavor Assortment 12ct.